Would-be political assassin a Bernie supporter: Will Democrats NOW take responsibility for fomenting so much hate and violence? 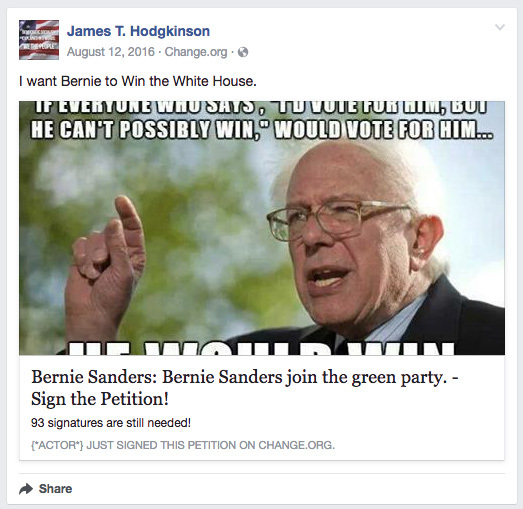 (National Sentinel) Political violence: The shooter and wannabe murderer of “as many Republicans as possible,” James T. Hodgkinson, of Belleville, Ill., was a known supporter of “Democratic socialist” and 2016 Democratic presidential contender Sen. Bernie Sanders of Vermont, though you won’t see any of that highlighted by the the ideologically bankrupt “mainstream” media — the same media that was quick to label a leading conservative Republican as being responsible for the shooting of a Democratic congresswoman in 2011. 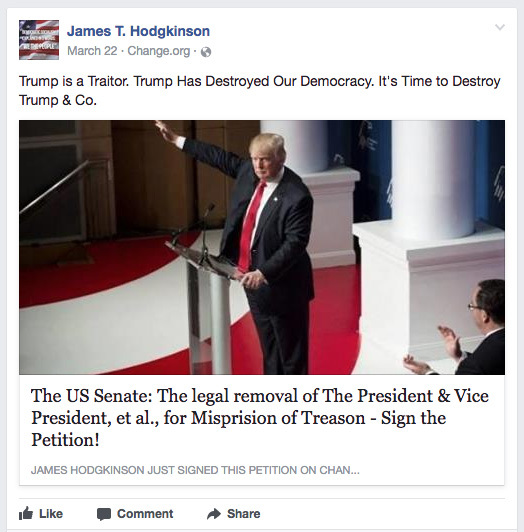 As noted by The Smoking Gun web site, Hodgkinson, 66, recently posted on his Facebook page that President Donald J. Trump has “destroyed democracy” and that now it was time to “destroy Trump and Co.” The same post also had a link to a Change.org petition in late March calling for same. 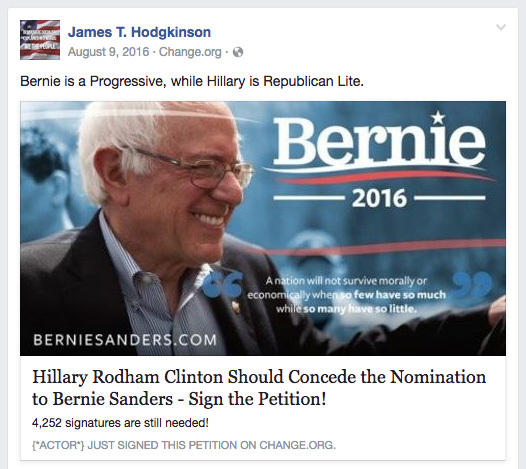 In addition, as noted on his Facebook page, Hodgkinson posted a number of photos of Sanders. His profile ‘picture’ features the words, “Democratic Socialism explained in 3 words: We the people,” with an American flag backdrop, though he obviously doesn’t understand that our nation’s founders were capitalists who believed that was the best economic model to foster maximum freedom and individual liberty — as opposed to top-down, government controlled “socialist” economies (see Venezuela). Understand that this shooting has occurred against a backdrop of unprecedented levels of hatred being directed at President Donald J. Trump and his Republican Party in general — hatred which has been carefully cultivated and fomented by members of the Democratic Party, through vicious “#resist” rhetoric and tacit approval of all forms of violence directed at conservatives on campus, in the entertainment industry and at political rallies and events all over the country. Republicans have recently faced increasing violence and death threats. Left-wing activists are showing up at Republican-held town hall events and shouting them down, using violence in some instances. Also in May, a man was arrested after threatening Rep. Martha McSally, R-Ariz., in voicemail messages, telling her that her days “were numbered” because she supports Trump. The Arizona Republic noted that hers is one of the most closely divided congressional district in the country; but that in and of itself is disturbing because she represents the district once represented by former Rep. Gabby Giffords, who was shot in the head by a deranged maniac in January 2011 (six people were killed). No doubt now Democrats and their sycophantic media allies are keeping their heads down, whistling and shuffling their feet as if nothing their side has said or condoned in terms of violence directed at Trump and the GOP has had any effect at all on what happened earlier today. My crystal ball says they won’t.